Logging or tree cutting near any power line can be very hazardous and requires special caution. 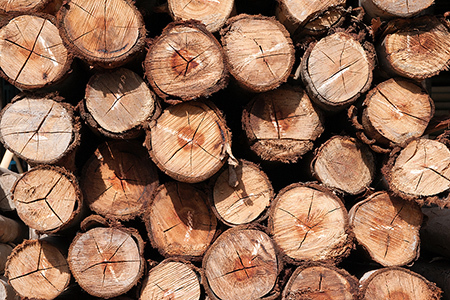 Please contact VELCO prior to logging or cutting near the transmission lines. Since trees conduct electricity, if one should fall into or close to a transmission line, the current could follow the tree trunk to the ground and endanger anyone standing near its base. If you come upon a tree that has fallen into a power line, stay away from it and call 911 and VELCO or the local distribution utility immediately. Hazardous nuisance shocks can occur when touching objects, like vehicles, tool boxes, fences, metal buildings or roofs that are near the line or parallel the line for some distance. Keep all logging activities out of the utility corridors. VELCO high-voltage transmission lines and fiber optics cross many Vermont properties. Our transmission lines meet National Electric Safety Code clearances and are designed to protect line workers and the general public. However, loggers still need to exercise precautions when working under and near energized power lines. By making your company and workers aware of potentially dangerous electrical situations, you can prevent serious injuries or death. Follow the guidelines provided in OSHA's Overhead Power Line Safety Standard. Develop and implement written safety programs to help workers recognize and control the hazards of contact with overhead power lines. Conduct initial and daily surveys of the worksite and implement control measures and training. Don't operate equipment around overhead power lines unless you are authorized and trained to do so. Always use a spotter while working near power lines. Wires appear farther away than they really are. 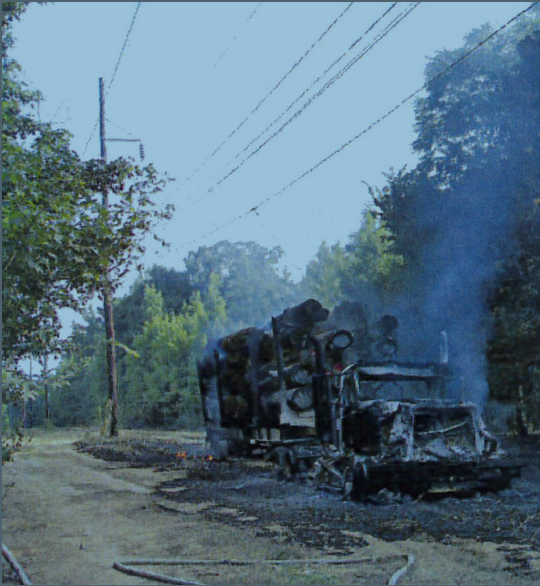 Never touch an overhead line if it has been brought down by machinery, a tree, or has fallen. Never assume lines are dead. Never touch a person who is in contact with a live power line. Never refuel your machinery in the utility corridor. Unlike the wiring in a home, overhead power lines are not wrapped in electrical insulating material. Electrocution is the most significant risk from contacting or even coming close to a transmission line. Be trained in cardiopulmonary resuscitation (CPR). Never store materials (logs, limbs, whole trees etc. ), or place yarding/landing areas under or near overhead power lines. Avoid bringing yourself, or any object you are driving or holding, too close to an overhead power line. Even non-metallic materials, such as lumber, tree limbs, tires, ropes, straw and hay, are capable of conducting electricity. When a vehicle/machine is in contact with an overhead line, DO NOT allow anyone to come near or touch the machine. Stay away from the machine and summon outside assistance. Once you get away from the equipment, never attempt to get back on or even touch the equipment. If the driver must leave the vehicle, he must jump out, keeping his feet together and arms close to his body. He must keep feet touching each other—shuffle away from the machinery—do not run.